Jon Huntsman placed third last night in the New Hampshire Primary. The former Utah Governor says that's well enough to stay in the race. 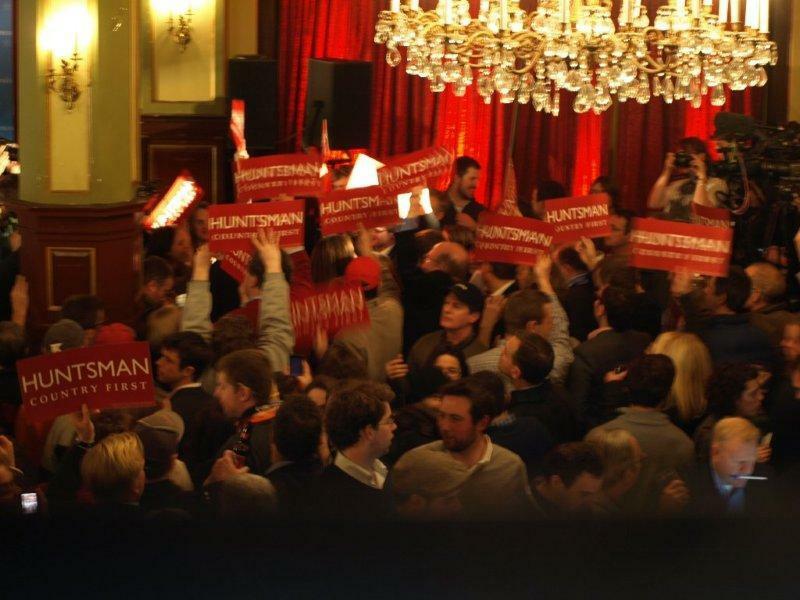 In the days leading up to the primary, Huntsman’s campaign suggested a second place finish was possible. The candidate talked about a sense of momentum, that his commitment to retail politics in the Granite State would pay off. He never caught up to Texas Congressman Ron Paul, but Huntsman told supporters nonetheless he’s energized. Huntsman says the nation doesn’t trust its political leaders and called for Congressional term limits. The campaign says Huntsman held twice as many events in New Hampshire as any other candidate in the race.